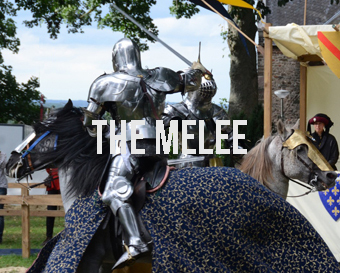 Performed in accordance with the authentic 15th century rules, weapons and armour of this dangerous sport, Foundation HEI bring the knights mounted back to life in front of you. The tournament can be divided in two types. 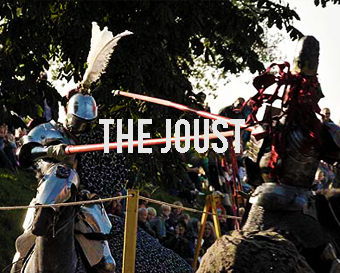 The first is the well known Joust, where two knights canter towards each other and try to break their lances on each others armoured body. As spectacular as the first is the second, the Mêlée. This is the tournament proper, where knights imitate a real battle by going at each other with swords or clubs. Have a look at these two photogalleries. Depending on the size of your event terrain we can perform the first and/or the second. Also this can be combined with another activity, like the hunt, the parade or the banquet. We aim to offer a day-program to our customers. Contact us and we would be glad to talk over all the possibilities!